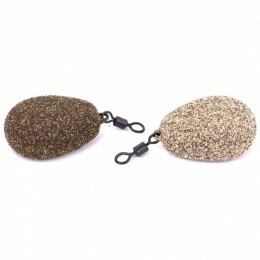 Ideal for carp, tench and big bream, this imitation sweetcorn can be used alone or as a counterbalance when combined with natural corn. It’s finished in a natural shade of yellow and moulded with a realistic, creamy sweetcorn flavour. The Buoyant Sweetcorn has a very generous 16 grains in the packet: 6 large, 6 medium, 2 small and 2 mini. It also comes with 2 strips of complementary mini yellow ESP hair stops. You can use different sizes alone or combined with natural corn to counterbalance the hook’s weight or create the perfect pop up. 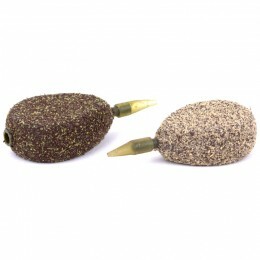 The larger size is ideal for zig rigs. On selected grains, there’s a recess that accepts the mini hair stop. Some of these grains have the recess on the end while others have it on the side to suit various presentations. This recess makes the hair stop sit almost flush with the surface of the corn. 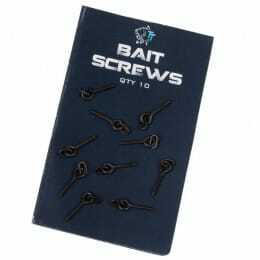 It looks very neat and also makes it more difficult for fish to steal the bait. 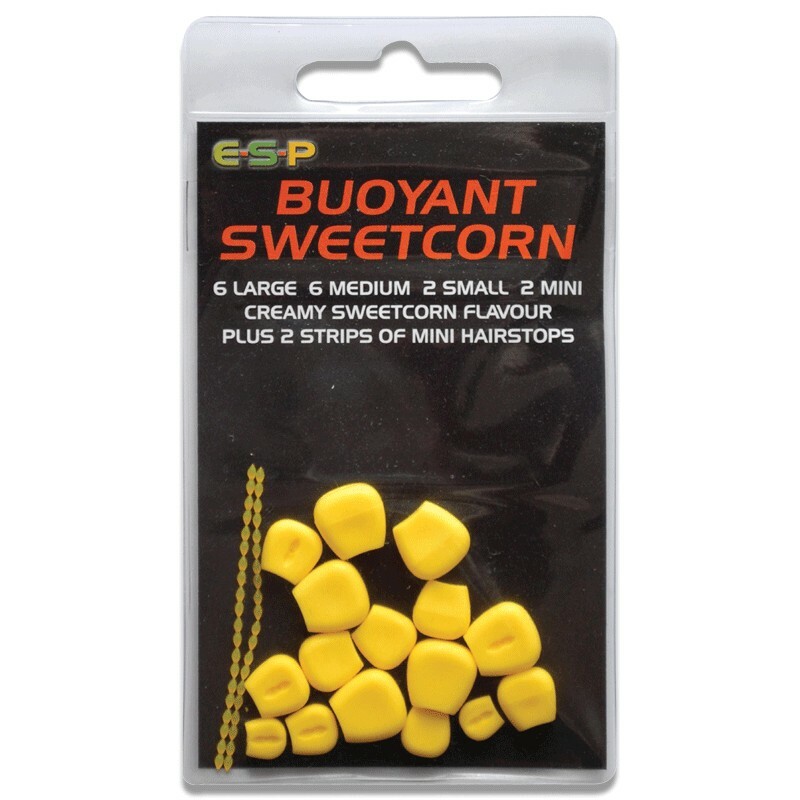 ESP Sweetcorn is perfect for a wide variety of presentations, from balancing or tipping boilies or nuts, to creating the perfect pop up. The creamy sweetcorn flavour added during the moulding process offers an attractive scent. Meanwhile, the vibrant ‘nature identical’ yellow colour provides excellent visual attraction. 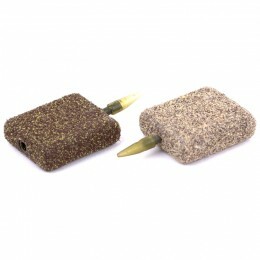 You can also get the Double Corn version, which has a wider variety of colours to choose from.